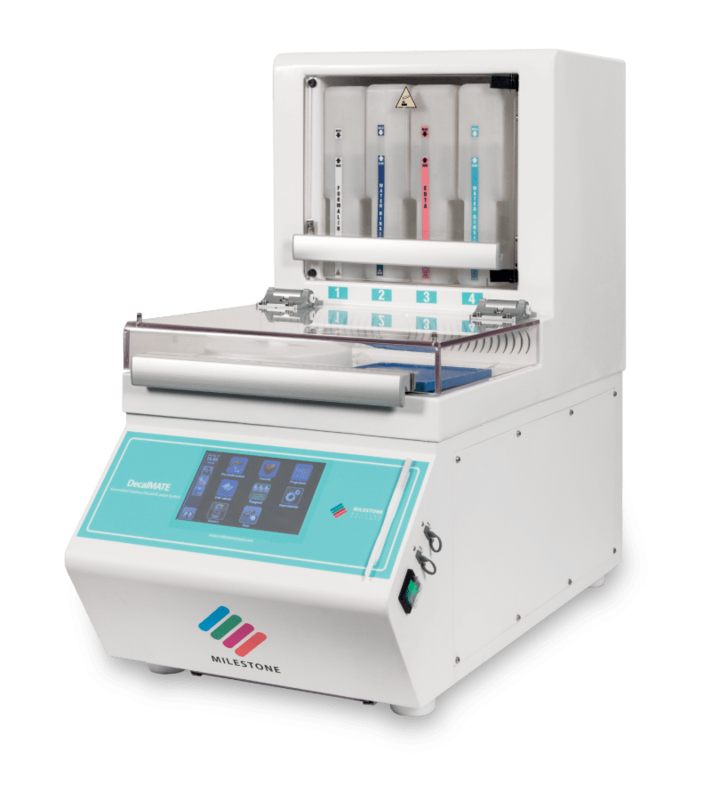 DecalMATE is a tool to enable histotechs to “tailor” their fixation/decalcification process to the specific characteristics of their bone tissue specimens. For the first, time automatic protocols for fixation/decalcification of bone tissues are available to the modern laboratory for improved diagnostic quality and consistency of results plus faster turn-around time. 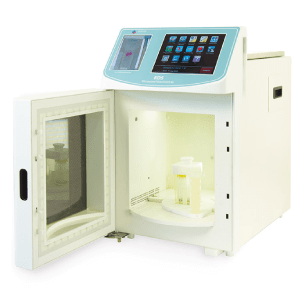 The unit consists of a resistance heated, temperature controlled process cavity, made of high chemical resistance techno polymers, with a built-in magnetic stirring device for temperature and concentration homogeneity. For a faster decalcification time, the process with EDTA is best carried out at a pH value of 7.2-7.4. Milestone has developed an innovative, pure EDTA solution, based on a stoichiometric mixture of bibasic and tribasic EDTA to reach this pH value without the addition of an acid/base buffer. The combination of an increased temperature, stirring and the MoL-DECALCIFIER, during the decalcification phase allows fixation, decalcification and processing of bone marrows within 48 hours. Formalin 10%	 MoL-DECALCIFIER	 °C	 Fixation + Decal. Formalin 10%	 Formic 10%	 °C	 Fixation + Decal. Possibility to use different decalcification reagents, racks and fixation/decalcification temperatures. Closed fixation/decalcification cavity with safety switches (shield open, cavity open). 24 hours turn around time for bone marrow. 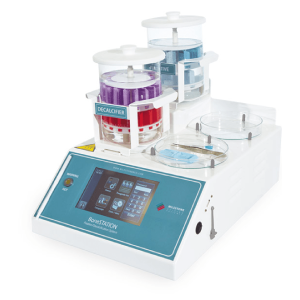 Up to 30 standard cassettes can be fixed/decalcified simultaneously. USB port enables both updating of software and downloading of event logs.